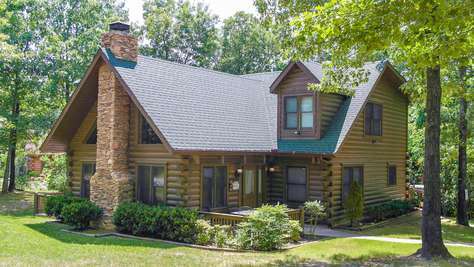 Perfectly situated in the Ozark Mountains, our cabins are near gorgeous Table Rock Lake, world class golf courses and all the family fun and exciting live shows of Branson, Missouri. Come and see what we have to offer. Escape to BVR Properties Luxury Vacation Rentals for the vacation you deserve. My husband and I stayed here 3 nights. Everything was beautiful! We loved it and definitely will be returning. Just got back from a short get away in the Navajo cabin at Hidden Falls. The pictures don't do it justice. It was beautiful and so relaxing. Enjoyed the hot tub and pool table. Bed was so comfortable. Everything you could need was furnished. Can't wait to take our family back. Just spent 3 days 2 nights. Had a great time, very nice. My husband and I recently stayed 3 nights at the Cherokee cabin for our anniversary and it was not long enough! We had to force ourselves to leave. I have nothing but good things to say about this place and their staff. Our cabin was everything we were hoping for and more. Questions were quickly answered. We enjoyed being out in the woods but also very close to everything we needed. Only minutes to the lake where we docked our boat. Close to all the shows we wanted to see in Branson. We cannot wait to go back! The was an absolutely GREAT find! We just had our honeymoon (4 nights) at the Navajo cabin and my husband could not have booked a better place to stay. The pictures really do not do it justice. Very quite, secluded, and well equipped cabin. We had the best time and are planning our next visit already. Relax In The Beautiful Ozark Mountains Today!